Living L-A-R-G-E! 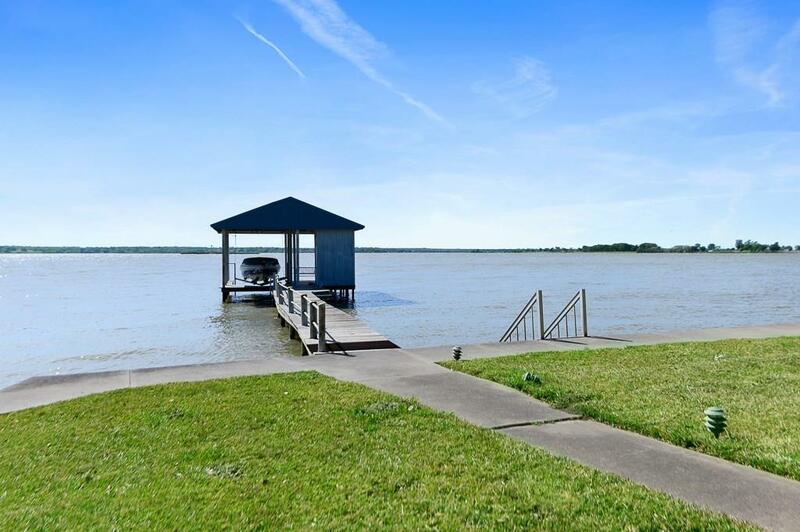 4-BR, 3-BA wide open waterfront is deceptively large with huge KIT-DIN, spacious waterside Master, multi-level deck and an oversized GA to die for! Large stone WBFP is focal point for wood-plank floored LIV area. 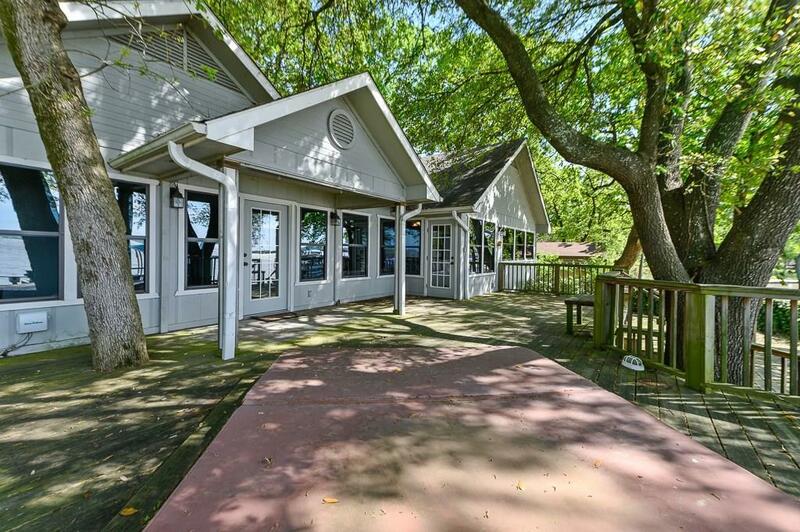 K-I-T-C-H-E-N is gi-normus with Breakfast, center Kitchen with island and waterside DIN. 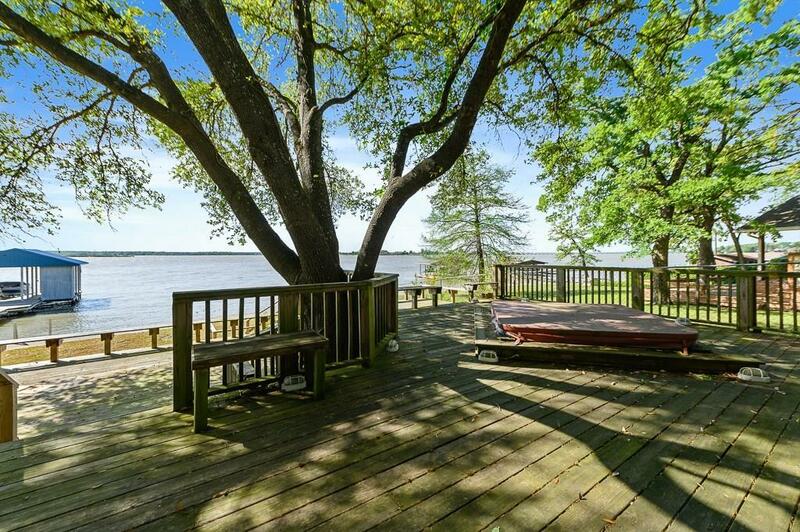 The Master is waterside with lots of windows, open closet area leading & en suite BA. Guest BA services one Guest BR; Other 2 Guest BRs share a private BA. UTIL has large windows and work space. GA which can hold up to 4; Driveway has parking for family & friends. 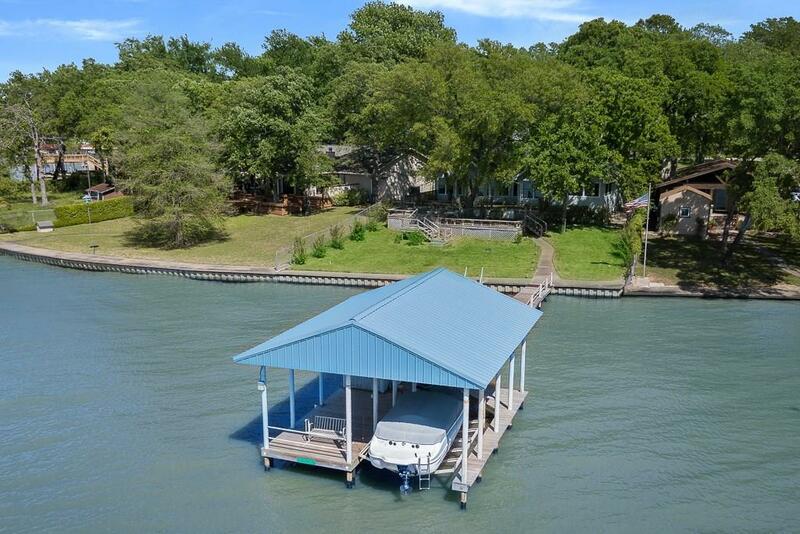 Boat house has single slip & covered area. All of this and its located in Eastwood Islands just minutes from retail and restaurants. Offered by Janice Haney of Ebby Halliday Realtors.